Sports fans will love the atmosphere at Sharks! Featuring huge TV screens around the facility, as well as a huge 5.25m² screen in Mackenzie’s Beer Garden, you will be spoilt for choice when it comes to watching your favourite sports live. View and print the Live Sports Broadcast. 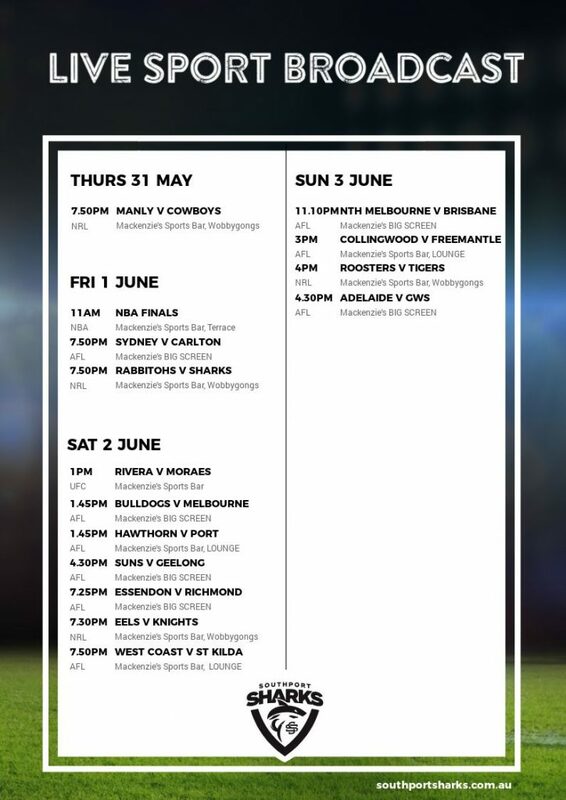 Check out the upcoming live sports action being broadcast around the club, right here at Southport Sharks below. If you have any questions about any of the events being broadcast at Sharks, please call reception on (07) 5532 1155.